Reduced price! € 2.00 tax incl. 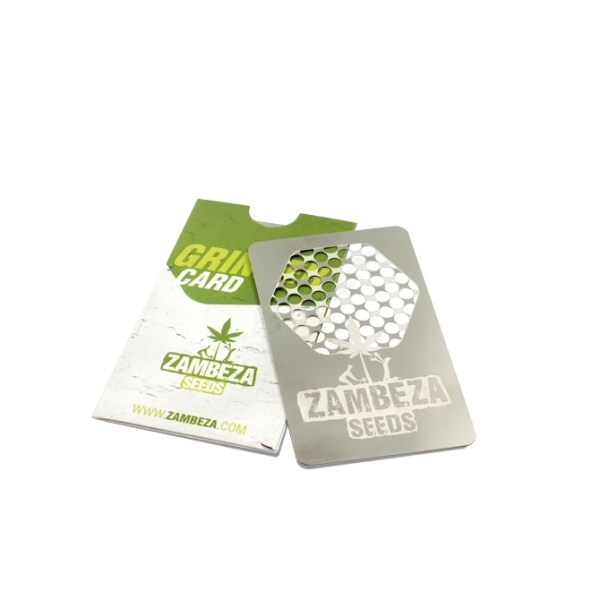 The Zambeza Seeds Cannabis Card is a stainless steel grinder shaped like a credit card, this makes for easy transport and hiding. It fits right into your wallet or the pockets of your pants, so the days of walking around in cargo pants just to have enough pockets to fit all your stoner needs now are a thing of the past. 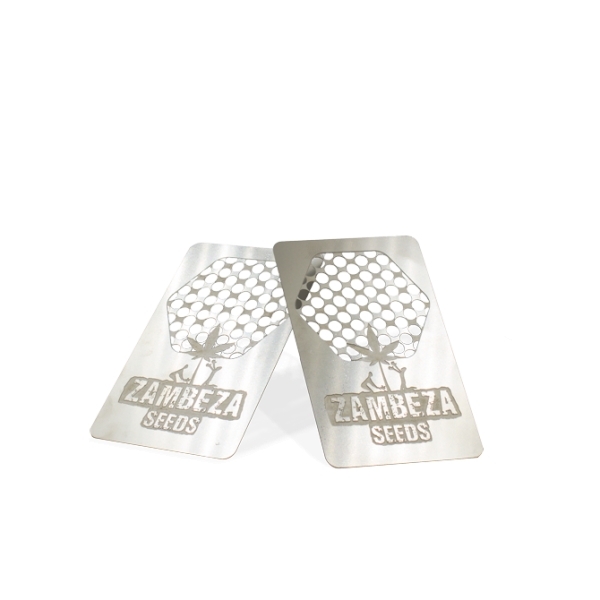 The credit card grinder features the Zambeza Seeds logo sporting the cannabis leaf tended to by two gardeners under a hexagon made up of holes. This hexagon is where all the grinding action actually takes place. Take a bud of your favourite weed between your thumb and index finger and rub the top of the bud over the hexagon with the holes, the rubbing motion is more important than applying pressure to push the weed through the holes so to speak. This rubbing back and forth grinds away at the bud, so keeping rubbing it until you decide that you have enough to roll a joint. 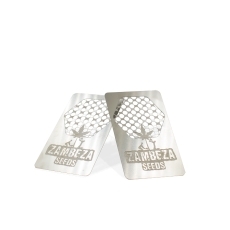 The Credit Card grinder then can be used to scrape together the just-ground weed for easy collection into your rolling paper.